As I mentioned in a previous post, my fall flavor isn't pumpkin. It's maple! So, if you have been following along, this is the third post in recent weeks that involves maple. If you love maple as much as I do, you might want to check out Maple Pepper Glazed Wings, or Gingersnap Maple Pecan Ice Cream. If you aren't a fan of all things maple, I'm sorry. I promise I will be moving on soon. I just hope everyone likes peppermint and eggnog, because I envision those types of goodies soon! The things is though, this isn't MY recipe. I wish I could take credit for it, but I can't. This is another recipe from Taste of Home. 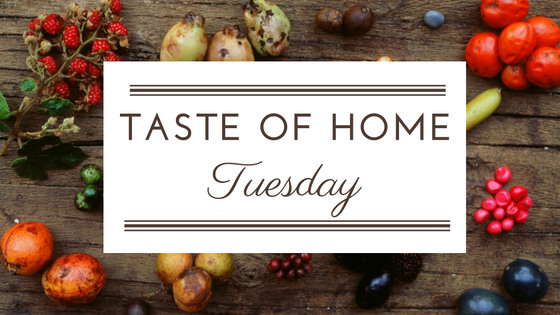 Red Cottage Chronicles has rounded up another week of Taste of Home recipes reviews for Taste of Home Tuesday. Take a few minutes to check out the links at the bottom of this post to see what everyone else whipped up this week. So, these muffins. They are bursting with flavors that are hard to describe. There's definitely maple. Check. Cinnamon..check. Nutty pecan goodness? Check. The thing is, all of these individual flavors combine to create a flavor that's hard to describe. The recipe creator describes it as a pancake breakfast. Yup....I can definitely taste that. A reviewer on the website describes it as a doughnut. Yes, I can definitely taste that too. I thought of it as almost a maple cinnamon coffee cake. Whatever your tastebuds sense when you make these, there is one common word you can use to describe these muffins: scrumptious. Or, as my idol, Mrs. Poppins, would say, supercalifragilisticexpialidocious! 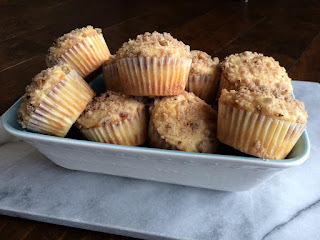 Here is a link to the original recipe, Morning Maple Muffins. I have copied it below, and added my own comments, in italics. 1. Preheat oven to 400°. In a large bowl, combine flour, brown sugar, baking powder and salt. In another bowl, combine milk, butter, syrup, sour cream, egg and vanilla. Stir into dry ingredients just until moistened. Freeze option: Freeze cooled muffins in resealable plastic freezer bags. To use, thaw at room temperature or, if desired, microwave each muffin on high for 20-30 seconds or until heated through. 1 each: 212 calories, 9g fat (5g saturated fat), 36mg cholesterol, 211mg sodium, 30g carbohydrate (16g sugars, 1g fiber), 3g protein. I love maple too! These muffins sound delicious. Can't wait tot try them. 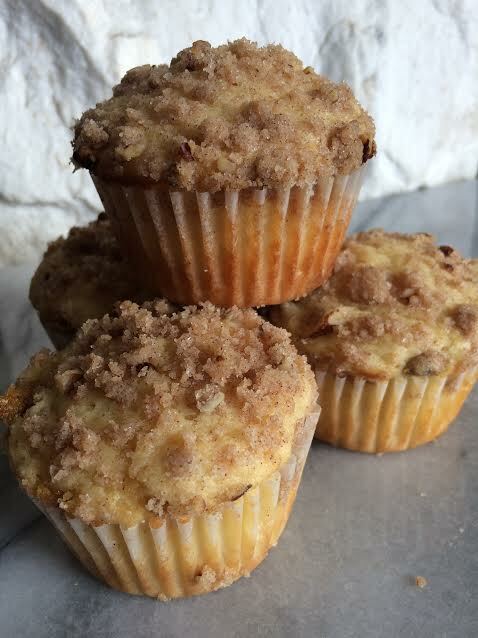 Okay, first the muffins!! Oh my goodness. LOVE! The Gingersnap Maple Pecan Ice Cream....no words!! We are huge maple fans, can't wait to make these!